Jose Mourinho is widely regarded as one of the world's best football managers but like everyone else, has made some memorable mistakes and endured tough times at various spells throughout his 18-year managerial spell to date. 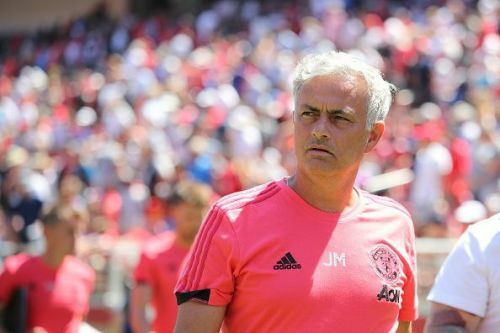 Currently the Manchester United manager, the 2018/19 campaign is set to be a significant one for him and his players, as he aims to banish the 'third-season syndrome' tag while looking to deliver Premier League silverware back to the red half of Manchester for the first time since Sir Alex Ferguson's retirement five years ago. Having already established a respectable record against Barcelona on the ten previous occasions his sides had faced them prior to his appointment as Real Madrid's new manager, it was always going to be an intriguing watch. What people didn't expect though, was that Mourinho would be on the receiving end of his heaviest defeat as a manager. It's a loss that remains his worst currently, as Barcelona were dominant in victory and Mourinho's players shrunk under the pressure at the Camp Nou. Goals from Xavi, Pedro, Jeffrén Suárez and a David Villa brace helped seal an emphatic victory during a feisty affair. Sergio Ramos was sent off before the full-time whistle for a cynical challenge as Barca were frustrating to play against - dominant in possession and equally dangerous in attack as Pep's side were able to effortlessly weave their way from midfield into attack far too regularly. Post-match, Mourinho was quick to deny claims of humiliation but deep down he knows that it was an embarrassing defeat in his first El Clasico, watched on by millions across the world.